By all accounts, it has been a good winter for marine related businesses. Most of the lakes are at levels they have not seen in years, and that bodes well for inland recreation. That said - enough of the rain! I am ready for the spring and summer, and it cannot come soon enough. The past week has been sunny, and what a welcomed feeling. I was out and about at the harbor over the weekend, and it was great to see all the harbor and marine activity. Boats were out of the slips and under way, the launch ramp was busier, and the retail around the harbor had an exciting bustle. 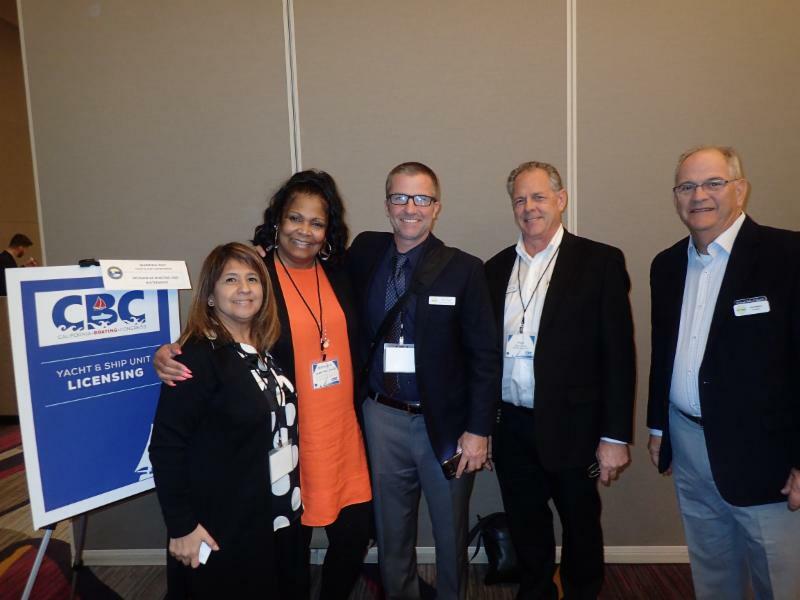 The recent trip to Sacramento for the fourth annual California Boating Congress and an industry legislative committee meeting was very successful. 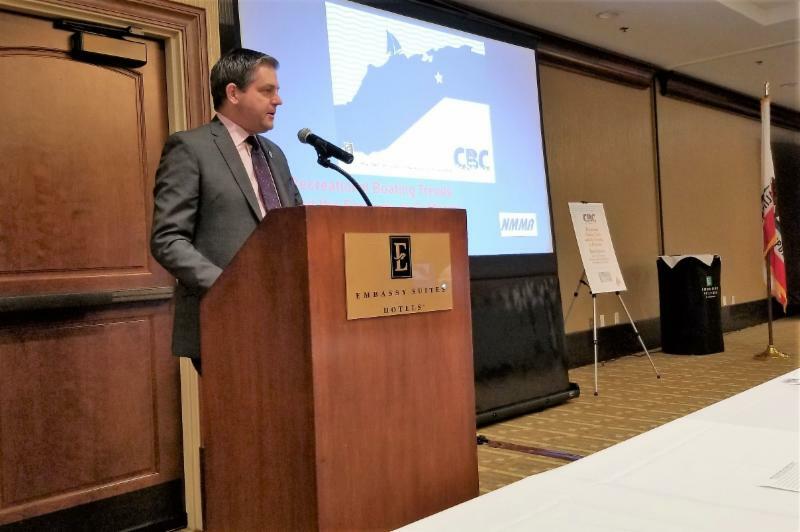 The CBC, as it has been in the past, was a great venue to hear industry speakers passionate about marine-related recreation, afford an opportunity to mingle with peers in other areas of our industry, and provide a chance to speak with our State legislators. I was able to speak with two State congress representatives, and both were very interested in hearing about our industry. We were able to share our message about the economic value boating brings to California, about how regulatory burden stifles our industry, and how it is time to change to a rolling annual fishing license for California. In addition, we met with our legislative advocacy partner, APEX, and the two other associations represented by APEX, and evaluated proposed legislation to posture ourselves where necessary to protect our interests. As we turn the page from winter to spring and summer, let's continue to do everything we can enhance boating recreation in the western part of the country, and keep foremost in our thoughts and actions how important the services and facilities we provide are to the general well-being of our customers and society as a whole. As always, may you have great navigating into the future. 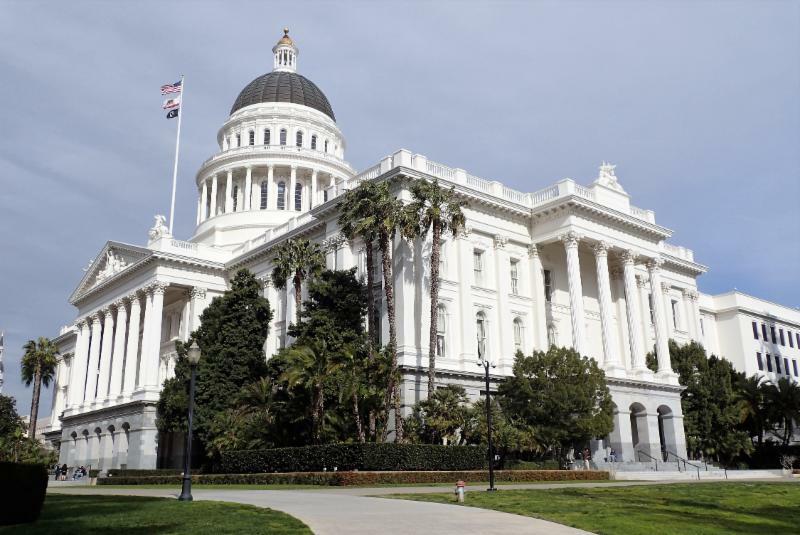 With a list of key legislative issues and priorities, recreational boating advocates and industry insiders convened at the state capital this March focused on helping to chart the future of recreational boating in California. 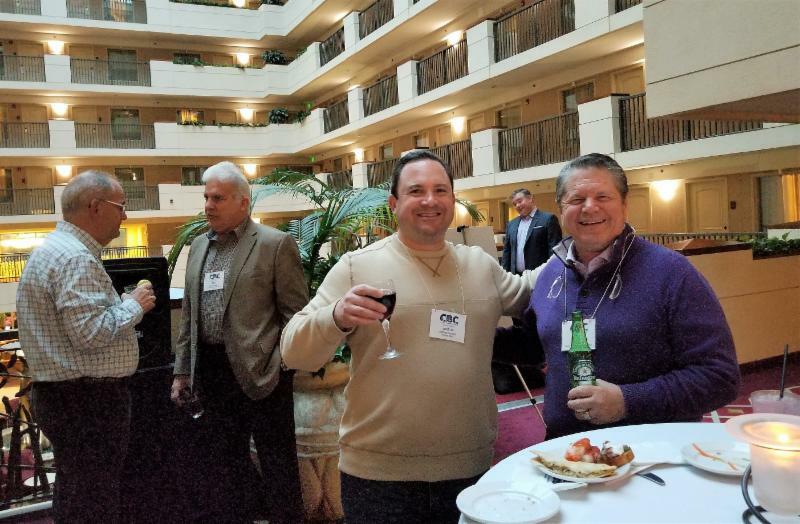 This year's event kicked off Tuesday, March 5th with an evening Welcome Reception on the mezzanine of the Embassy Suites by Hilton Sacramento Riverfront Promenade Hotel. 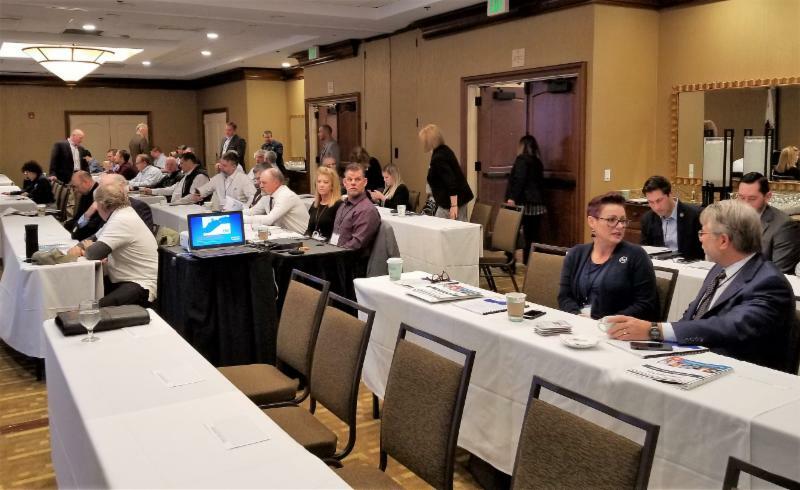 An enthusiastic group weathered the late winter rain to network and discuss common boating industry interests over hor d'oeuvres and beverages, setting an optimistic tone for the next day's conference and meetings with legislators. This 4th Annual CBC was again spearheaded by the Marine Recreation Association with twelve other boating advocacy and industry association co-hosts, including the National Marine Manufacturers Association, California Marine Affairs & Navigation Conference, Boat U.S., California Yacht Brokers Association, Personal Watercraft Industry Association, Recreational Boaters of California, California Sportfishing League, California Delta Chambers & Visitors Bureau, the Sacramento Valley Marine Association, California Association of Harbor Masters and Port Captains, American Boat Builders & Repairers Association, and the Bay Planning Coalition. 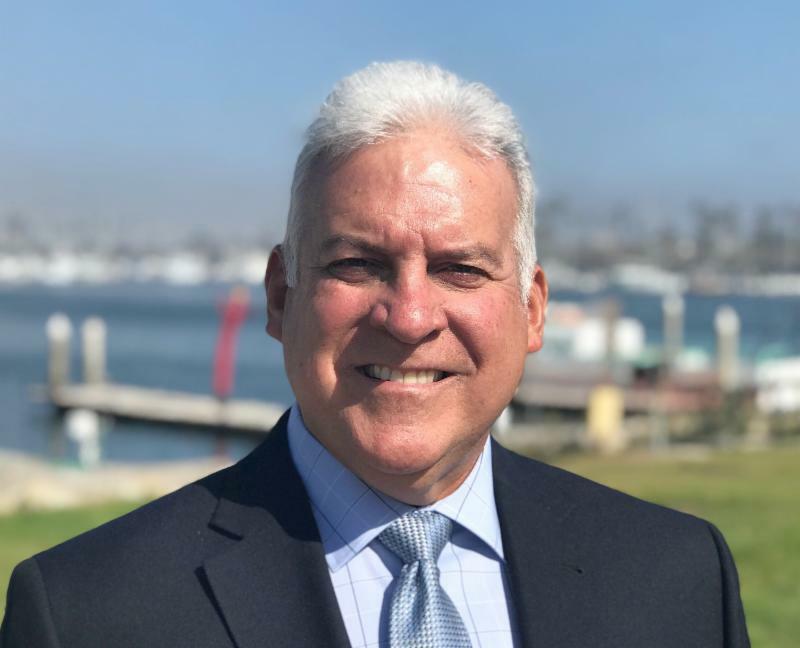 Mark Sandoval, President of the MRA, welcomed more than eighty marine industry and recreation advocates to the Congress on Wednesday morning with a brief summary of the day's activities, and introduced the first keynote speaker, Assemblymember Jim Wood. Mr. Wood represents District 2, encompassing Trinity, Humboldt, Del Norte, Mendocino, and the north coast of Sonoma counties, and is a co-sponsor of AB 1387, the Legislature's third attempt to update California's antiquated sportfishing license system, which would allow for fishing licenses to be valid for 12 months from the date of purchase rather than the current annual basis. He reminded the group of the importance of their advocacy in shaping all of California's recreational opportunities. Robert Newsome, Sr. Vice President of Strategy, Engineering Standards & Membership for the NMMA, provided a detailed presentation on Recreational Boating Trends and the Economy in California, highlighting the $13 billion impact on the state's economy with more than 41,000 jobs, 2,800 business, and 745,600 registered boats depending on the industry. Recent statistics show continued growth in boat sales with more than 95% of new boats purchased in the U.S. being domestically built. Mr. Newsome also stressed the importance of events like the CBC, and continuing legislative advocacy in shaping future boating and recreation legislation and regulations. Mark Sandoval then took the podium again and introduced Ramona Fernandez, California Department of Parks & Recreation, Acting Director of the Boating & Water Ways Division. Ms. Fernandez welcomed everyone to the state capital and invited attendees to drop by and talk with her and other state regulators later in the day. Bret Gladfelty, marine industry advocate from The APEX Group, closed the early morning session with a brief Legislative Summary, and Legislator Meeting instructions and meeting schedules for participants. 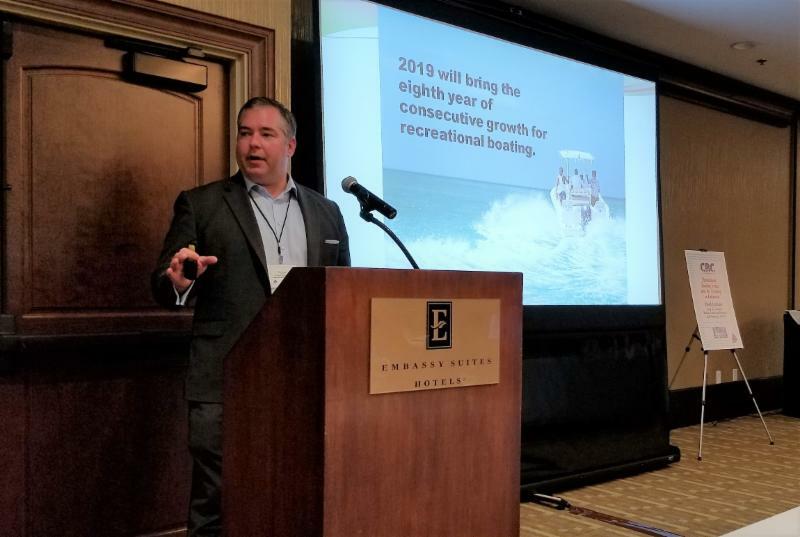 Following the morning coffee break, this year's CBC provided attendees with a number of special topic sessions focused on specific issues facing recreational boating in California. Session 1 covered various efforts and programs being pursued by the California Sportfishing League to protect access and increase fishing participation in the state. Gilbert Labrie, DCC Engineering Co., provided a look at the various regulatory issues involved in the permitting process for in-water projects in the SF Bay and Delta region. And Bret Gladfelty discussed proposed legislation to support the state abandoned and derelict vessel fund for private marinas. Session 2 focused on the California Coalition for Maritime Development's campaign to reduce sales and use tax on watercraft sales in California. Paul Kaplan, KKMI Shipyard, and Navi Dhillon, Attorney, discussed water quality legal issues and regulatory implications. And Ray Durazo, President, Recreational Boaters of California, reviewed the implications of the state audit of the Sab Francisco Bay Conservation & Development Commission (BCDC). The final morning session was dedicated to open "Meet Your Regulator" meetings with representatives from Department of Parks & Recreation, Division of Boating & Waterways, and California State Lands, who responded to questions from CBC members. Lunch was also held at the Embassy Suites Hotel, and Bret Gladfelty again reviewed the afternoon schedule of meetings before CBC members dispersed to the state capital for individual meetings with State Senators and Assembly Members and staff. Once again, this year's California Boating Congress was very effective in bringing the concerns of the marine industry and recreational boaters to the forefront with our state regulators and legislators. But, the recreational boating industry in California continues to be under pressure from opposing advocacy groups, and more legislative interaction from groups like the CBC can only help to level the playing field for the industry, and those of us who relish a day on the water. The 5th Annual California Boating Congress is already in the planning stages and promises to be another worthwhile opportunity for boating enthusiasts and industry concerns to meet with state regulators and legislators to discuss the impact of regulations, policies, and planning that effect recreational boating and marine interests in the state. 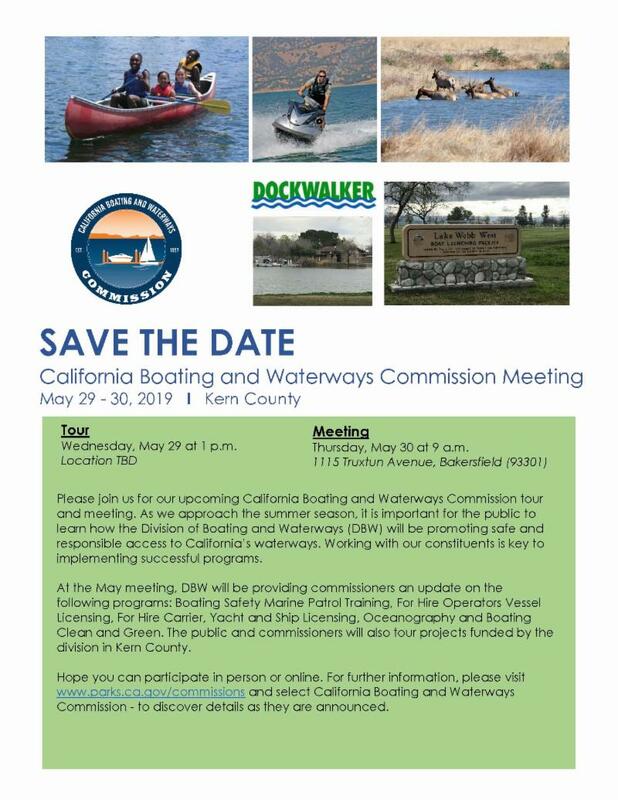 For more information about this important event go online at www.calboatingcongress.com or call Mariann Timms at 209-334-0661. With Appreciation to our 2019 Co-Hosts Sponsors! 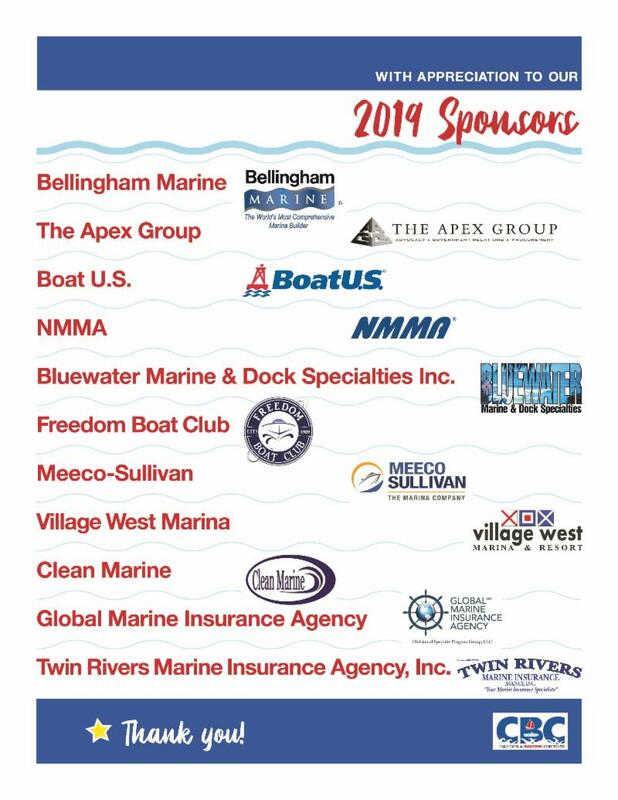 With Appreciation to our 2019 Sponsors! The Division of Boating and Waterways recently proposed new regulations on California boaters, which would have permitted a peace officer to terminate a voyage immediately if they did not possess a California Boater Card. The Apex Group immediately responded with a letter of disapproval, stating that the California Boater Card was never intended to be a license, along with additional arguments against the proposed violations. On February 7th the Commission of Boating and Waterways heard the subject and MRA member, Kevin Ketchum testified on MRA's behalf supporting our arguments against the proposed Violations. On March 12th, the Division of Boating and Waterways decided to remove the violations section of their proposed regulations. On Tuesday February 12, Governor Newsom gave his first State of the State address focusing on 7 major subjects; water, rail, energy, education, protecting immigrants, helping the homelessness and tackling the affordability crisis. First and foremost, Governor Newsom addressed the Legislature that he supports a single tunnel program to send water down Southern California, instead of a twin tunnel program that was started by Governor Brown and he was establishing an emergency fund to help millions of Californians that do not have potable water from their tap. With regards to the highspeed rail and energy, Governor Newsom, specifically said he supports the highspeed rail only to Merced and Bakersfield; however, after the speech stated that he did support the rail continuing to L.A. and San Francisco. PG&E's bankruptcy has put many of the fire victims at odds with receiving compensation from the recent northern fires and reassured the public that he and his administration would hold PG&E accountable for the damages. You can view his entire speech at https://www.gov.ca.gov/2019/02/12/state-of-the-state-address/. With Governor Newsom's new administration taking shape, we see that his focus is making his office a more diverse and inclusive executive branch. In his first day of office Governor Newsom had already released his first act focusing on prescription drug costs and signing several emergency drinking water & fire recovery packages for the Central Valley. Our association has been working closely with Senator McGuire's office on developing a bill to create a new fund to clean up CADV's. We know that there are dozens of abandoned commercial vessels in California's waterways, and we are taking the lead to change that issue. It's been too long for California to ignore this environmental hazard polluting our waterways. We are continuing our discussion with Senator McGuire's staff, he has indicated that he may introduce legislation in 2020. For the fifth year in a row, the California Sportfishing League has reintroduced the 12-month license bill instead of annual fishing license, which expires at the end of the calendar year regardless of when it was purchased. Assemblymember Wood from Assembly District 2, which covers the Northern California coast, has agreed to introduce the fishing bill. We believe that this is the year we can move the bill to the Governor's desk, given the IT procurement schedule for the California Department of Fish and Wildlife and the given support we will have from labor groups. May, 29 - 30 2019! TIME: 11 :30 a.m. - 1 :30 p.m.
No action will be taken at these workshops to consider adoption of the proposed amendments, which may be revised based on the comments received at the workshops. The Regional Board will hold a subsequent public hearing for this purpose. If ultimately approved by the Regional Board, State Water Resources Control Board and U.S. Environmental Protection Agency (USEPA), the Copper (Cu) TMDLs and Non-TMDL Action Plans will supplant TMDLs promulgated in 2002 by USEPA for metals in Newport Bay. Recommended implementation strategies to address Cu, Zn, Hg and As are included in the amendments. or by request to Regional Board staff at (951) 782-4130. These documents may also be reviewed at the Regional Board office located at 3737 Main Street, Suite 500, Riverside, California, by appointment scheduled between 9:00 a.m. and 3:00 p.m. Monday through Friday. Appointments may be scheduled by calling the office at (951) 782-4130.
colognes or other fragrances to accommodate those with allergy sensitivities. Grow Boating has partnered with Heather Lutz of Findability University to offer a three-part webinar series to help marine industry businesses develop a findability and search engine optimization (SEO) plan to achieve the online results to boost your bottom line. Covers brand protection, how to learn what is being said about your business in social and search, emergency plans for your online presence and Google alerts. Learn how to leverage suggestive search, see what Google bot thinks about your homepage, use SEMRush.com to understand searchers and present yourself as a thought leader, not a sales person. Each webinar will be presented by Heather Lutz, Dean and Founder of Findability University. 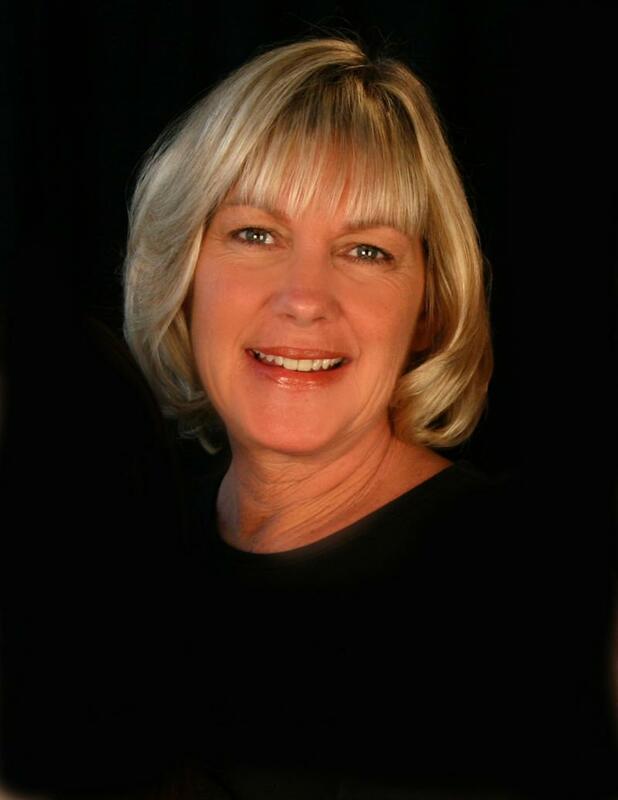 Lutz founded the Findability Group in 2000 to help website owners connect businesses with their perfect customers online. She worked for Yahoo! Search Marketing, training advertisers in Paid Search techniques, is a member of the National Speaker's Association (NSA), a sought-after Vistage International Speaker and has shares the stage with Tony Robbins Business Mastery in Fiji and London. Celebrating more than 50 years, BoatUS is the nation's largest organization of recreational boaters with more than a half-million members. We are the boat owners' voice on Capitol Hill and fight for their rights. We are The Boat Owners Auto Club and help ensure a roadside trailer breakdown doesn't end a boating or fishing trip before it begins. When boats break down on the water, TowBoatUS brings them safely back to the launch ramp or dock, 24/7. 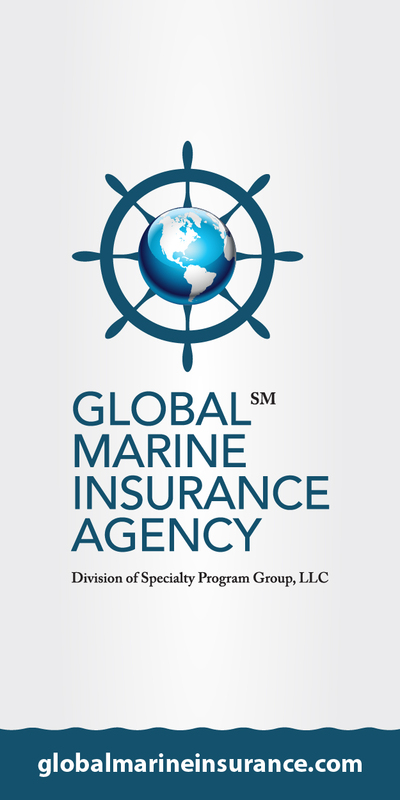 The BoatUS Marine Insurance Program offers policies that give boat owners affordable, specialized coverage and superior service they need. We help keep boaters safe and our waters clean with assistance from the nonprofit BoatUS Foundation for Boating Safety and Clean Water. Visit BoatUS.com. Want to learn the basics of powerboating or brush up on your skills? The nonprofit BoatUS Foundation for Boating Safety and Clean Water together with Freedom Boat Club Los Angeles offer a choice of two fun on-water boat training courses taught aboard single-engine powerboats: Intro to Boating and Women Making Waves, Saturday, April 13, and Sunday, April 14, at the club's location at Cabrillo Way Marina, Berth 43, Dock C, 2941 Miner St., San Pedro. Both the Intro to Boating and Women Making Waves courses are three hours long and affordably priced at $149 per person. Intro to Boating covers shifting and steering, basic docking, open-water handling and basic navigation, and is offered both days at 9 a.m. The goal of the BoatUS Foundation and Freedom Boat Club Los Angeles courses is to address the high costs typically associated with at-the-helm training, making hands-on boating education more accessible. The courses also offer area residents the chance to try out recreational boating and give boaters the opportunity to brush up on their boat-handling skills. The BoatUS Foundation for Boating Safety and Clean Water is a national leader promoting safe, clean and responsible boating. Funded primarily by donations from the more than half-million members of Boat Owners Association of The United States (BoatUS), the nonprofit provides innovative educational outreach directly to boaters and anglers with the aim of reducing accidents and fatalities, increasing stewardship of America's waterways and keeping boating safe for all. A range of boating safety courses - including 36 free state courses - can be found at BoatUS.org/Courses. 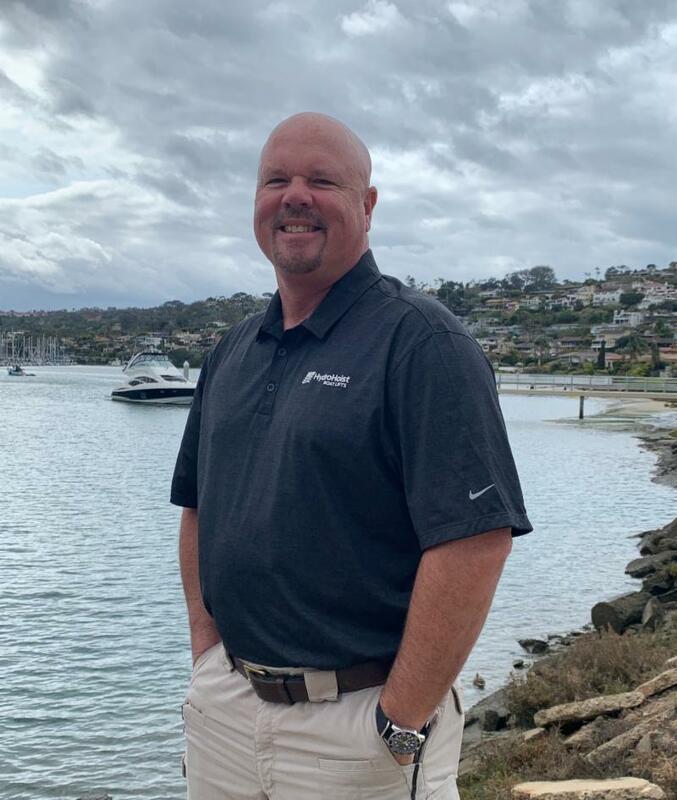 HydroHoist Marine Group has named Rob Sanford as Western States Sales Manager. 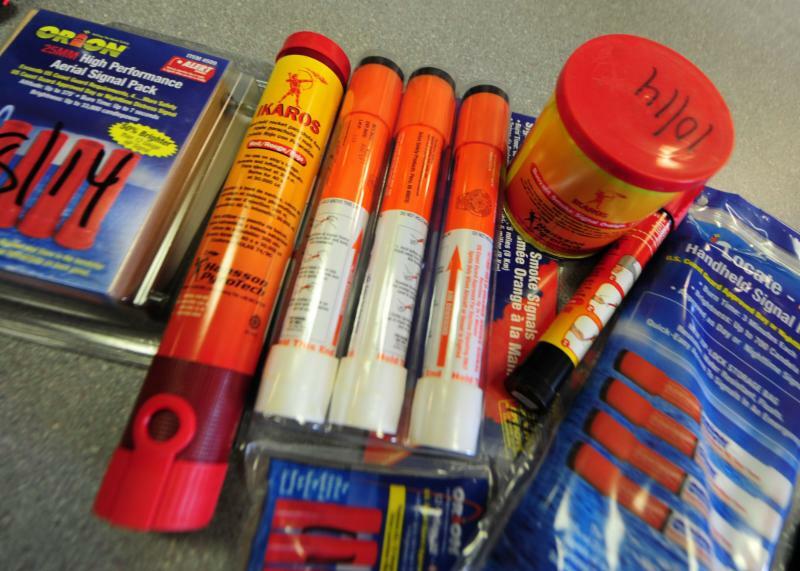 The announcement was made by HydroHoist CEO Mick Webber. "We are pleased to be expanding our sales team in an effort to keep up with increased demand for our product, particularly in California and in the Mountain Time zone area. I am confident that Sanford is the right person to grow our western region presence," said Webber. Sanford's immediate focus will be on building the California market as it relates to creating new partnerships and opportunities for all HydroHoist boat lift and HyPower power pedestal products. "I am pleased to be representing HydroHoist as the global leader in the hydropneumatic boat lift industry. The opportunity to expand markets in the area of the country where I am most familiar creates a synergy that will enable us to meet customer demand and successfully grow the business," Sanford said. The announcement of Sanford's employment comes on the heels of HydroHoist's latest product introduction - the HarborHoist - a free-floating lift designed specifically for salt water markets, with capacities to lift 25,000 pounds. HydroHoist is the oldest and largest hydro-pneumatic boatlift manufacturer in the world. HydroHoist serves a worldwide marketplace in all aspects of pleasure craft, service boats, Personal Water Craft (PWCs) and other floating vessels. HydroHoist Marine Group encompasses HydroHoist Boat Lifts, HyPower Power Pedestal Company and RotoMoldUSA - a plastics rotomolding company. HydroHoist owns five patents relating to boat-lift technology and electric power pedestals, and has International Organization for Standardization (ISO) certifications for its manufacturing processes. Learn more at www.boatlift.com. 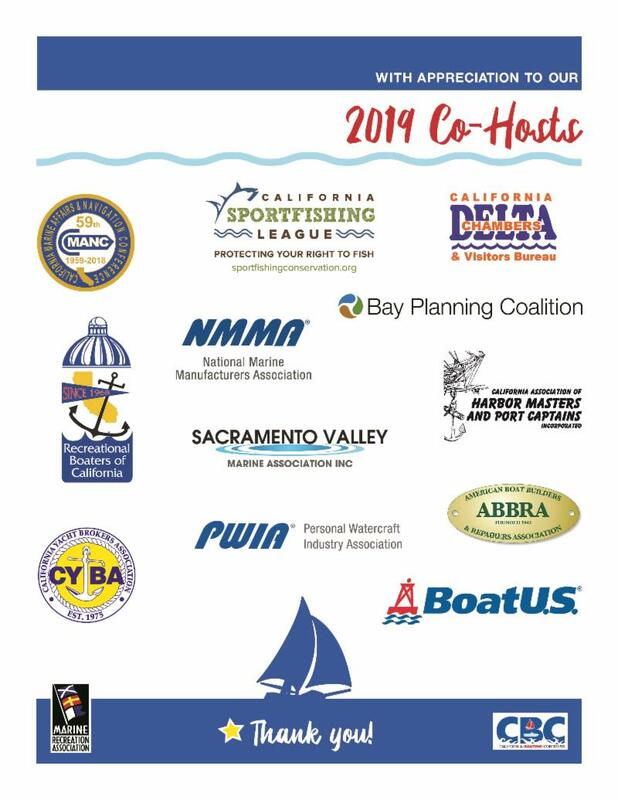 The 4th Annual California Boating Congress that was held on March 6, 2019 at the Embassy Suites by Hilton Sacramento Riverfront Promenade was a great success. I want to thank all of our co-hosts and sponsors for their support. We couldn't do it without them! Malcom Morgan has agreed to four regional training seminars in May on "Shock Hazards: Code Compliance and Corrosion in the Marina" Regional Training Seminars. We are currently putting together the meeting spots and dates with the hopes of having it available by the end of next week. Stay tuned! 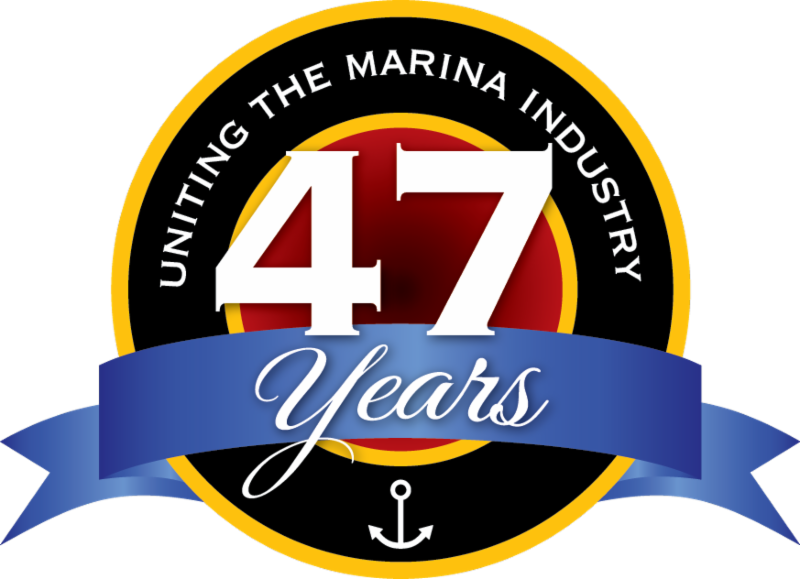 SAVE THE DATE for the 48th Annual MRA Educational Conference & Trade Show that will be held at the Hilton La Jolla Torrey Pines on October 21 - 23, 2019. The planning for this event starts in early February at the Board of Directors Annual Planning Meeting. We should have the information on our website late next month.